Middletown and Mechanicstown, NY drivers are consistently electing to drive home a 2015 Honda Accord Sedan instead of a 2015 Volkswagen Passat. Noting the new Accord Sedan’s numerous features in addition to the brand’s legendary efficiency, the new Accord stands out in a crowded field of midsize sedans. 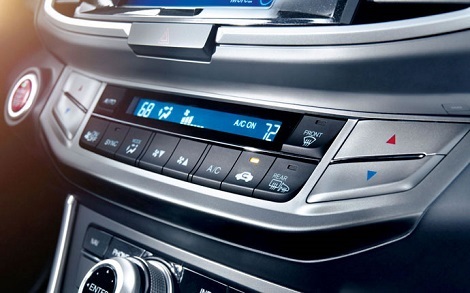 LX: Starting at $22,105,* the standard Accord Sedan comes with premium features, including dual-zone automatic climate control and a rearview camera with dynamic guidelines. EX: Starting at $25,030,* the EX boasts a cutting-edge one-touch power moonroof with tilt feature as standard. EX-L: With both a forward collision warning and lane departure warning system equipped, you’ll drive with even greater confidence. Available for $28,420,* or for $30,195* with a Honda Satellite-Linked Navigation System with voice recognition. EX-L V6: For a starting price of $30,495,* your 2015 Honda Accord Sedan can be equipped with the power of a 3.5L i-VTEC V6 engine. Available for $32,270* with Honda’s Satellite-Linked Navigation System. Touring: The ultimate Accord Sedan starts at $33,630,* and includes innovative new features such as adaptive cruise control and fully automatic LED headlights. 1.8T: With 16-inch steel wheels and power-operated side mirrors, the entry-level model costs $21,340 without additional features. Wolfsburg Edition: For a minimum of $24,375, the Wolfsburg boasts an 8-way power-adjustable driver’s seat. SE: For $26,280, the SE is equipped with a rearview camera. Available with a sunroof and navigation system for $28,105. SEL Premium: For a minimum of $31,790, the SEL Premium is the Volkswagen you need for high-end features. Can be fitted with a V6 engine for $35,995. 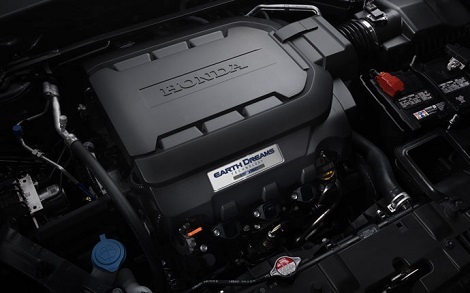 Standard Engines: The 2015 Accord Sedan is fitted with a 2.4L 4-cylinder engine. While still producing 185 hp, a 2015 Honda Accord LX with CVT achieve up to 27 mpg in the city and 36 mpg on the highway. ** The Passat uses a 1.8T TSI engine for lower horsepower and lower efficiency, scoring just 24 mpg in the city. V6 Engines: The 2015 Passat utilizes a 3.6L V6 to maximize output, but falls short in terms of miles per gallon, with ratings of 20 mpg in the city and 28 mpg on the highway. The Honda’s V6 combines both power and economy, with a 2015 Accord EX-L V6 with six-speed automatic transmission producing 278 hp while still maintaining 21 mpg in the city and 34 mpg on the highway** – far better ratings than those offered by Volkswagen. Rearview Camera: You’ll need to buy a $26,280 Passat SE to enjoy the added safety of a standard Rearview Camera, a feature the come in the entry-level $22,105* 2015 Accord Sedan. Automatic Temperature Control: While fitted across all models of the 2015 Accord Sedan for no added cost, including the $22,105* Accord LX, you’ll have to pick up a $31,790 SEL Premium Passat to enjoy this feature as standard. Alloy wheels: Rarely rated as a premium feature in contemporary sedans, Volkswagen will charge $900 to have alloy wheels fitted to an entry-level model Passat, while Honda includes them as standard. During simulations conducted by the IIHS, the 2015 Honda Accord Sedan was awarded the highest rating in every single test, while the 2015 Volkswagen Passat was rated as “Good” in 4 out of 5, but only “Acceptable” in the small front overlap trial. You and your family deserve superior protection, so make sure you drive home in a 2015 Honda Accord Sedan. 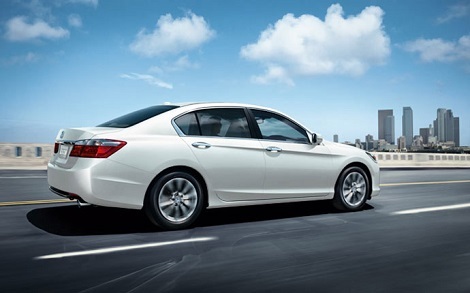 The 2015 Honda Accord Sedan is a trusted name among drivers for a reason. Available now at Middletown Honda in NY, which is just a short drive from Mechanicstown. * MSRP excluding tax, license, registration, $820.00 destination charge and options. Dealer prices may vary. ** 24 city/34 highway/27 combined mpg rating for 4-cylinder Sedan 6MT models. 27 city/36 highway/31 combined mpg rating for Sedan CVT models. 26 city/35 highway/29 combined mpg rating for Sport Sedan CVT models. 21 city/34 highway/26 combined mpg rating for V-6 Sedan models. Based on 2014 EPA mileage ratings. Use for comparison purposes only. Your actual mileage will vary depending on how you drive and maintain your vehicle.